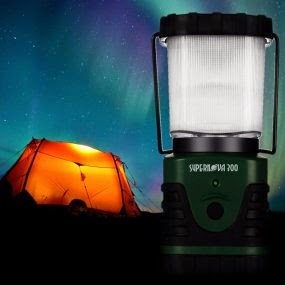 The Supernova 300 lumens LED lantern combines the latest in LED lighting technology along with an innovative design that results in high performance. 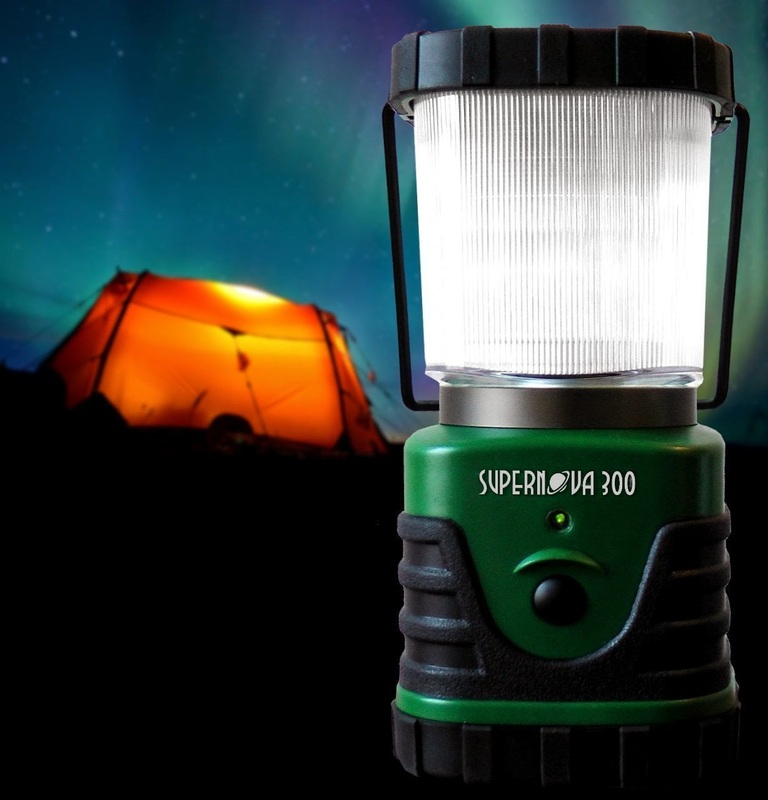 With 300 lumens of brightness, the ability to run for days, and a strong manufacturer's warranty, this lantern will perform its duties for many years to come. 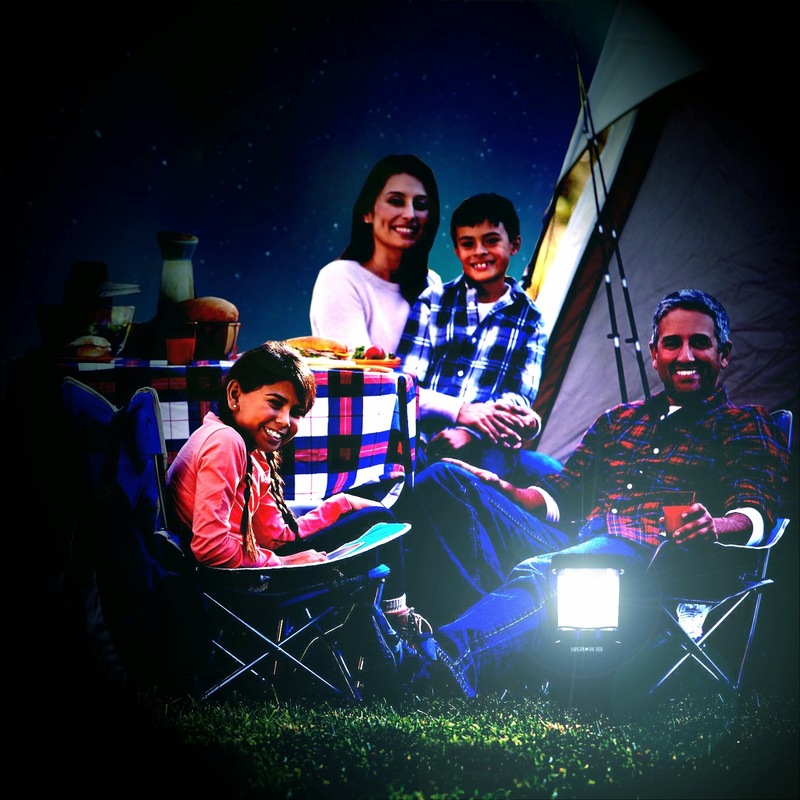 The next time you take your family camping, hiking, or just making another memory in the great outdoors, the Supernova 300 will provide you with the light and safety that you and your loved ones need. 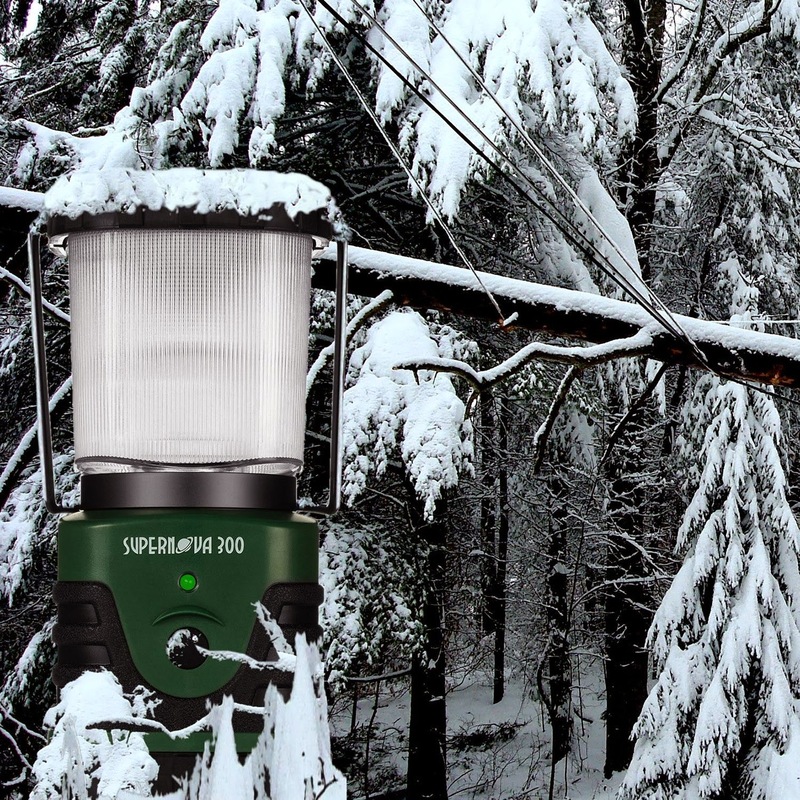 Don't let that next snowstorm, tornado, or power outage keep you in the dark. 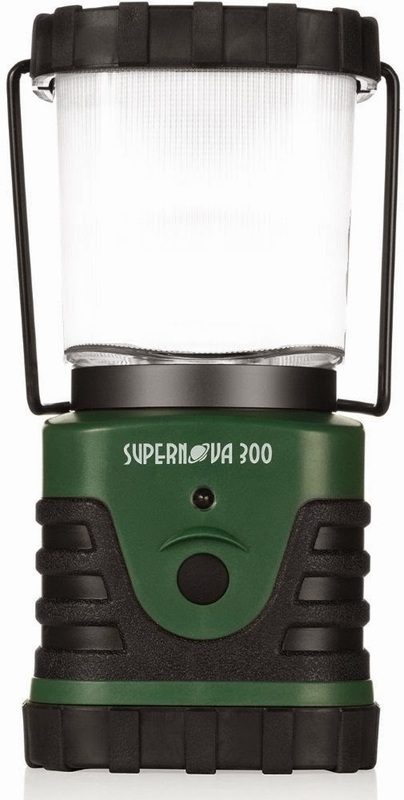 The Supernova 300 not only lights up an entire room, but can be used for up to 6 days on a single set of batteries. The Supernova 300 transforms any room, cabin, or tree house into a vessel for exploration and adventure. 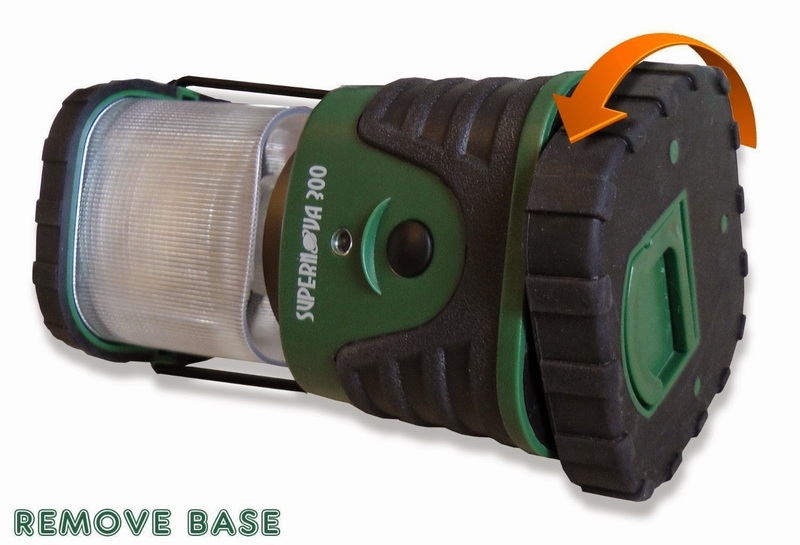 It's compact size, rugged durability, and multiple levels of brightness make it a great gift. 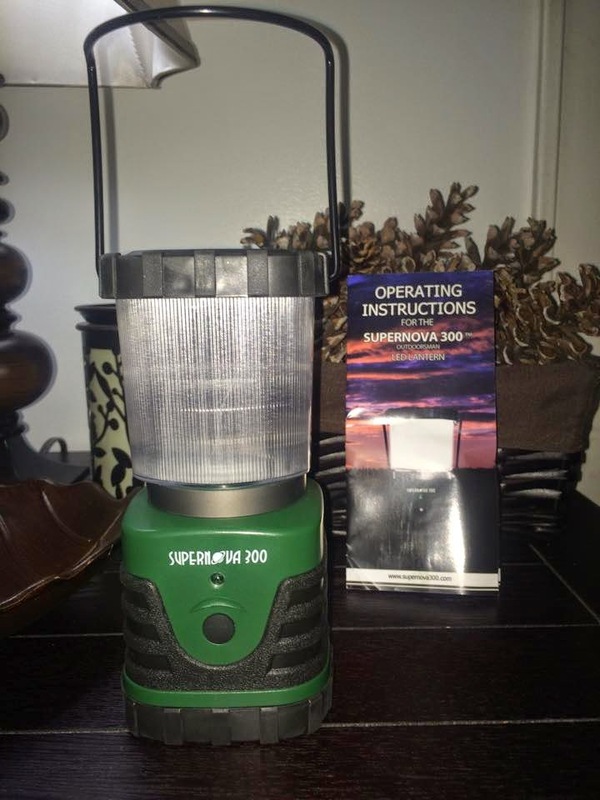 I was really excited to get to try out the Supernova 300 Ultra Bright LED Camping Lantern. 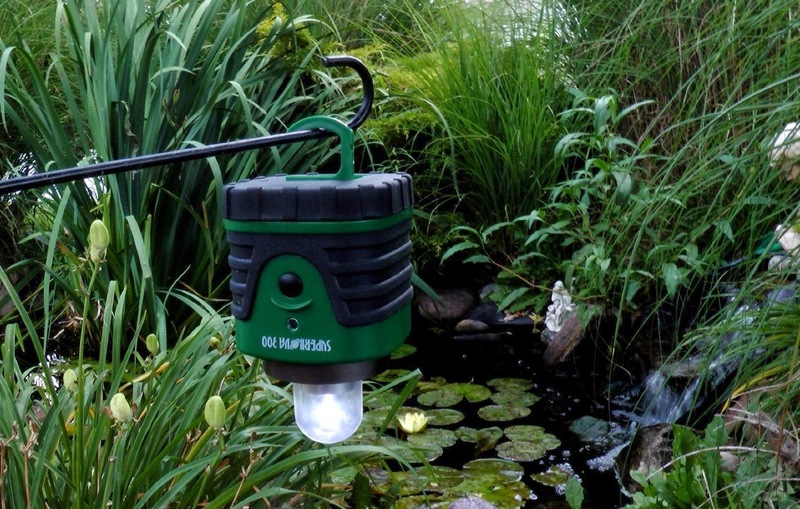 This lantern has so many different ways it can be used as well as hung from the top or the bottom. 6 continuous days of continuous use is incredible! 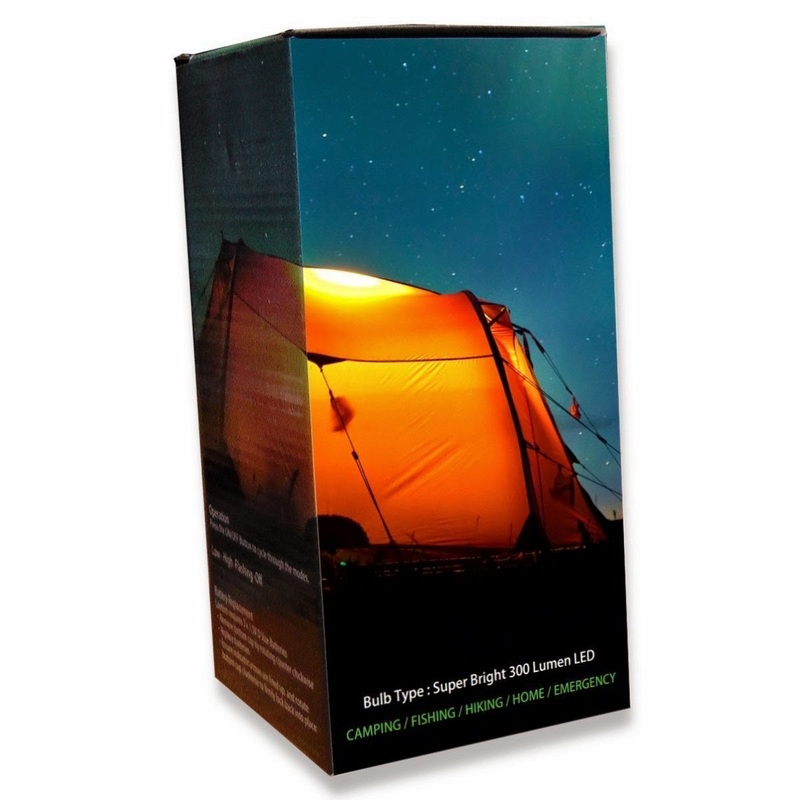 The lantern does not get hot to the touch so its safe for inside tents. 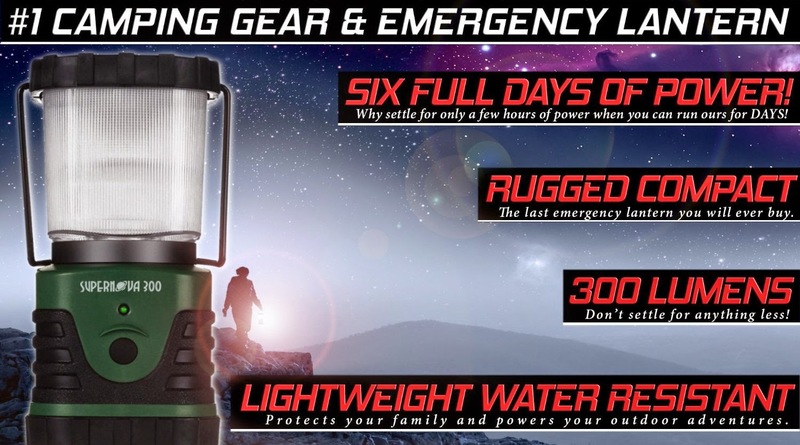 I like that it can be used in emergency situations and you can feel confident that the light will last for as long as your power is out. 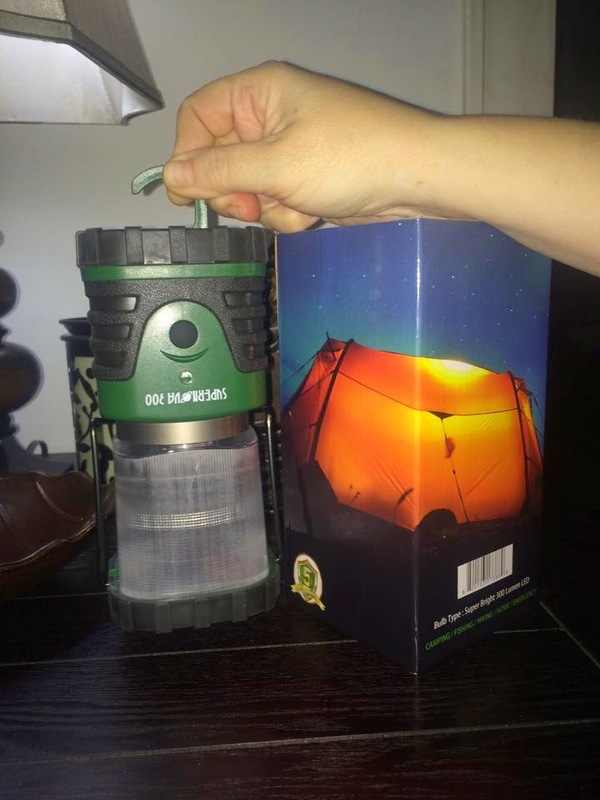 I also like that our girls can take it on Girl Scout camping trips and I know it is a safe and reliable lantern for them to use. I like that it can be set down on the ground, even in the leaves and have no fear of it catching anything on fire. 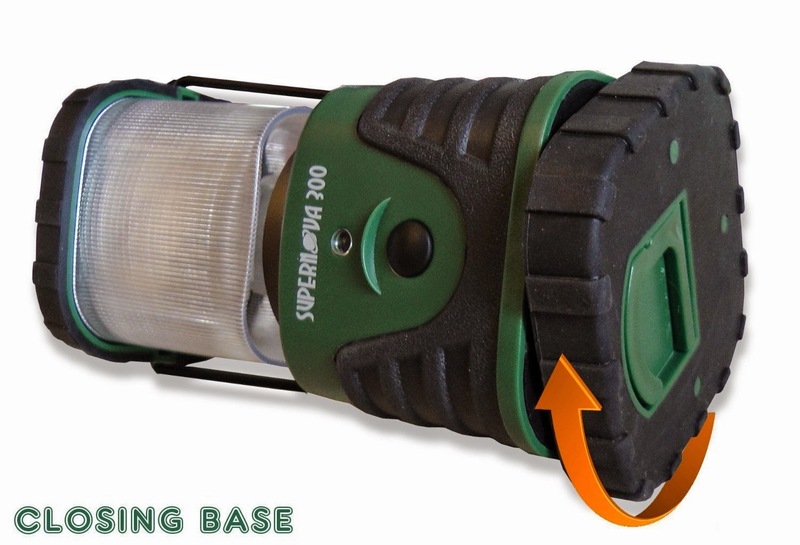 This would make an excellent gift for any outdoorsman or even for those backyard adventures.